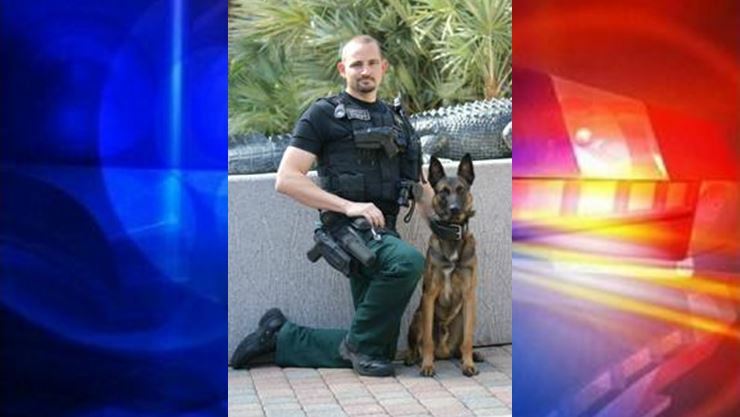 Gainesville, Florida — An Alachua County Sheriff’s K-9 deputy was placed on paid administrative leave after his K-9 was found dead in his patrol car. K-9 Robbie, a Belgian Malinois, was discovered in the back seat of Deputy Tommy Willcox’s car on Friday. According to AccuWeather, it was approximately 94 degrees in Gainesville on the day that K-9 Robbie died. On the morning of Robbie’s death, Deputy Willcox and K-9 Robbie had responded to assist the Gilchrist County Sheriff’s Office with a suspect wanted in a homicide investigation in Leesburg, Florida. Officials said they were not certain if K-9 Robbie was utilized during the search for the suspect. When Deputy Willcox returned home, he had apparently forgotten that the K-9 was in the back seat of his patrol car. When Willcox realized it, he found the dog unresponsive. According to ACSO Public Information Officer Art Forgey, in 2008, Deputy Willcox euthanized his personal dog, which was a retired ACSO K-9, by shooting it. Willcox told his superiors that he shot and killed the 13-year-old dog because it was in poor health and was suffering. No charges have been filed against the deputy at this time.